Every user with a Scarlett (Solo, 2i2, 2i4, 6i6, 18i8, 18i20, 8i6, 18i6) Saffire (Pro 14, 24, 24DSP, 26, 40, Liquid 56, 6 USB) interface, Clarett or Forte registered to their user account will have an activation code for the Red Plug-In suite. 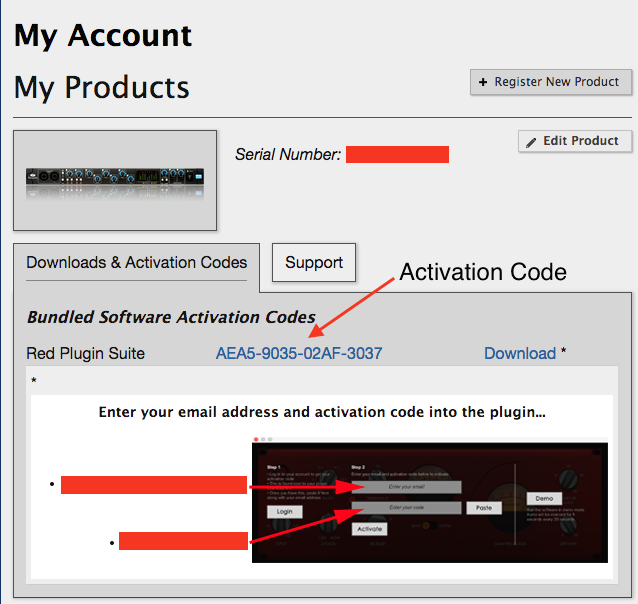 This code is stored under the interface registration in the "Downloads and Activation Codes" menu of the users account. Please see the screenshots below that show this.